Your brainstorming sessions are going nowhere? 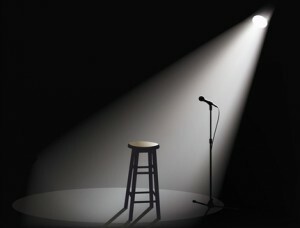 First of all, I should say that those improv techniques don’t involve having you stand up in front of an audience with a mic in hand and a stool at your side. It’s much less involving than that. In fact, they are extremely simple and yet incredibly effective. Read on to find out more. We’ve all been in those meetings either at work, in the classroom, in a family gathering deciding on a vacation together, or in a community group where we need to generate new ideas and come up with an agreement on those ideas. Very often, we witness some brave souls offering their ideas, to have them rebuked with a harsh “NO!” or its sneaky cousin “yes, BUT…”. At that point, whatever creativity flow was in the room screeches to a dead stop or is replaced by a confrontational back-and-forth where all parties hunker down and are dead set on defending their ideas and ignoring any other ideas. In the end, the strong personalities end up imposing their ideas. The end result: very few ideas are generated, egos get hurt and everyone comes out frustrated. What if there is a better way that would remove the risk of strong personalities or personal glory getting in the way of the creative process? A way where everyone has to actually listen to the members of the group’s ideas and be willing to embrace them for at least a little bit? A way where everyone involved ends up looking good? Those techniques come from the world of improvisation where creativity and flow of ideas is paramount. They have been taught for decades to aspiring comedians (think Steve Colbert) and recently to a much more diverse audience ranging from adventurous business leaders, to nerds, to husband/wife in couple therapy. Use “yes, AND…” (vs. “no!” and “yes, BUT…”) because it forces you to listen to the other person’s ideas and to accept their idea (even if it’s just for a bit) in order to allow you to build on it. It’s about acceptance. Knowing that everyone will have to accept your idea as part of the exercise will embolden you to offer more creative ideas instead of sticking to safe suggestions. Accept every offer. That’s one of the cardinal rule of improvisation. Go with the flow and never antagonize the person who suggested the idea. Make the others look good. This gets your ego out of the way. Establish the rule to make your counterpart look good and shed some positive light on their best ideas. Don’t be fooled by the simplicity of those improv techniques. They do work and not solely on the stage of comedy clubs. So, the next time you are in a group setting, seeking to generate ideas, offer those 3 guidelines at the beginning of meeting and witness how the dynamics of the group will radically improve. You will be surprised by how well the techniques work. Have you have ever tried those techniques? Will you try them in the future and share the outcome? I’d love to hear your feedback ! Use the comment section below. We used something similar many moons ago. Michael England led an all day brainstorming session to help our Triton team come up with ideas to improve our deficiencies. Also at CG we did a similar exercise. Idea was : there is no bad or wrong suggestion , put down what you think is needed. After we wrote down all the ideas , we broke up into groups and voted for our favorite ones. And then we took the top 2 ideas from each group and voted the top 5. The mistake we did in both exercises was that we did not account for “group think” or “peer pressure” , the voting was in the open so if I saw that everyone was voting for X but I really liked Y , I was forced to vote for X since I knew my vote was wasted on Y. Had voting was done via secret ballots we would have had different outcomes I believe. Hi Aghyan, thanks for the thoughtful comment! I completely agree with you that the typical brainstorming session approach as some limitations including the one you brought up. It is especially true in an environment like an IT department, often inhabited by introverted engineers who might have some great ideas (or see that some ideas are worthless/impracticable) but are too shy to voice them. I remember reading a couple of things on that very topic and I should try to dive into the material and turn it into a blog post. Always enjoying your feedback. Keep it comin’! These techniques can help teams self-organize and creatively solve problems. The article was referenced as a part of scrum training by Dan Greening and Jeff McKenna. Thanks for the excellent pointer, Bob. The article that you mentioned goes deeper and suggest more strategies than my humble post did. If anyone is interested in knowing more on the topic, that article is an excellent resource.